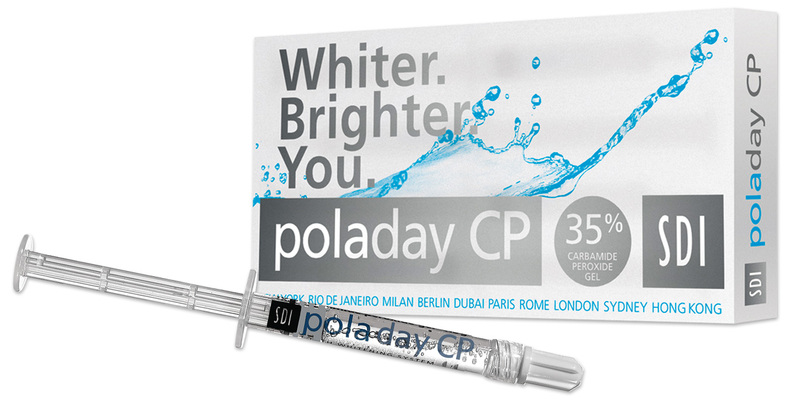 Neutral pH 35% carbamide peroxide for maximum whitening results. 15 minute at-home treatment once per day. Fluoride and potassium nitrate desensitizers virtually eliminate post-operative discomfort. Spearmint flavored. One half the wear time of Opalescence¹ PF35%. 1Opalescence is a trademark of Ultradent Products, Inc. Safco is not affiliated with Ultradent Products, Inc. Contains: 4 x 1.3g syringes gel, 4 dispensing tips, paper shade guide, instructions. Contains: 50 x 1.3g syringes gel, 50 dispensing tips, instructions. Contains: 30 individually wrapped 3g syringes of gel; no accessories.